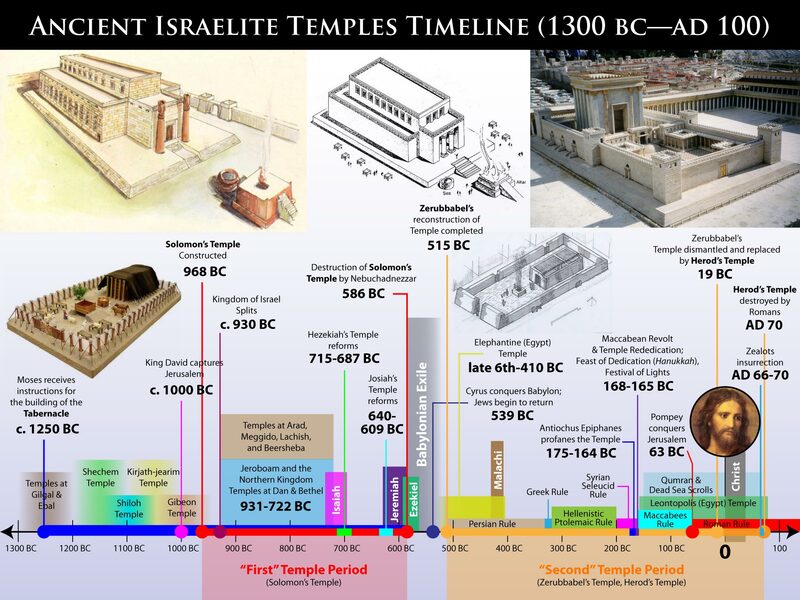 Ancient Israelite Temples Timeline (1300 BC—AD 100). Click on image for hi-res version. Ancient Israelite Temples Timeline (1300 BC—AD 100) by Bryce Haymond is licensed under a Creative Commons Attribution-Share Alike 3.0 United States License. That means you can use this graphic however you please, as long as you attribute the original work to me and this website, and any derivatives must be licensed the same. See the Creative Commons link above for more details. I am a visual learner in many ways, so sometimes I like to put things together visually so I can get a better grasp of them, and understand them more thoroughly. The history of the ancient Israelite temples is one of those things that I wanted to learn better, so I created this timeline to help me visualize it. The timeline shows the basic history of the ancient Israelite temples from the Tabernacle of Moses, through Solomon’s Temple (First Temple Period), the Babylonian Exile, and Zerubbabel’s and Herod’s Temples (Second Temple Period). This spans about 1400 years. 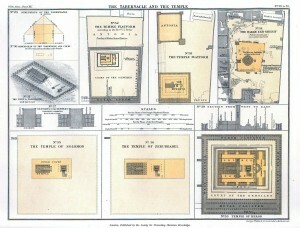 Major temple structures are noted, as well as lesser known Israelite temples. Major events which affected temple worship are marked and labeled, as well as other important dates. The information on the timeline is sourced primarily from William Hamblin and David Seely’s excellent 2007 book, Solomon’s Temple: Myth and History (pages 9-49, 210). Other information was found at various sources online. I’m sure there are many details I’ve left out, and probably some errors. If there are items that you think should be included (such as additional Israelite temples), please let me know. If there are errors, please tell me those as well. Just leave notes in the comments, and I will continually update the timeline here as I receive feedback. Thanks! Update (10/31/2009): I’ve updated the timeline. I’ve added some temples in the New World, including the temple in the city of Nephi, Zarahemla, and Bountiful. I’ve also added several more Old World temples including Arad, Meggido, Lachish, Beersheba, Gilgal, Ebal, Shechem, Shiloh, Kirjath-jearim, and Gibeon. Many of the dates are approximated. There are still more to add, as soon as I find more details. Update (11/2/2009): I’ve decided to make this strictly an Old World temples timeline, so I’ve removed the few references to temples in the New World. I may make a separate timeline which compiles what we know of temples in the Book of Mormon. I’ve added some details about the ruling parties in Judea between 515 BC and AD 100. I’ve also added a visual reconstruction of what the Elephantine Temple may have looked like. Other small details have also been added. Why Don’t we Find Our Modern Temple in the Old Testament? I used to ask myself that question, and I believe that many others probably still do. We believe that our current temple ordinances as revealed by the prophet Joseph Smith are as old as the human race, and were first revealed to Adam, the Ancient of Days1. So why don’t we read more about temple practices similar to our own today in the Old Testament? It can get very confusing trying to compare our modern-day temple ordinances to those of Moses in the Tabernacle, or Solomon’s temple, or even Herod’s temple at the time of Christ. And our critics also love to point out the dissimilarity. The ordinances just aren’t the same. We might initially think that it is because of the sacredness of the temple that it was kept from being written about much by the ancient patriarchs. But this is not the case. 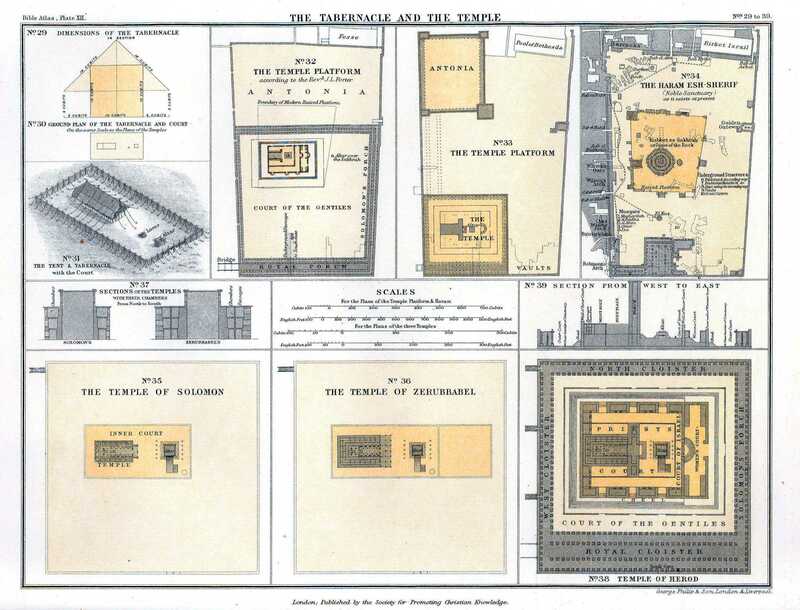 Many details are given about the Tabernacle of Moses in the first books of the Bible. While there are still some similitudes in the structure of the temples, the priestly clothing, and even in the rites, if the ordinances were the same or very similar as we have them today we would find many more allusions to them. But they just aren’t there. One of the criticisms leveled at the LDS (Mormon) practice of temple worship is the seemingly dissimilar forms of the ordinances when compared with those found practiced by ancient Israelites in the Bible. It is true that the forms of the ordinances and sacrifices are different, but their meaning and symbolism remain the same. Let us consider why the forms are different. From Adam down to Moses, the Melchizedek priesthood, with its accompanying higher ordinances, were practiced by the covenant people of the Lord. These were similar in form to LDS temple worship today. Unfortunately, since most of the accounting from the Old Testament takes place from the time period of Moses to Christ, from the Bible we become most familiar with the lower ordinances that the Israelites practiced in the Tabernacle, Solomon’s Temple, Zerubbabel’s Temple, and Herod’s Temple. This is because when Moses desired to give the higher law of the gospel and the ordinances of the Melchizedek priesthood to his people they rebelled against him and the Lord withdrew these higher ordinances and instituted the lower Aaronic priesthood (including the Levitical priesthood) with its accompanying outwardly observances and performances. The Israelites were not worthy to come into the presence of the Lord as a whole; only the high priest was allowed into the most holy place in the Tabernacle, and only on certain prescribed days. These practices continued for 1200-1300 years, and the Israelites’ writings during this time fill a large measure of the Bible. When Christ came to earth, he restored the Melchizedek priesthood with its accompanying higher ordinances. The Mosaic law was also fulfilled in Christ at that time, and the type of sacrifices performed in temples were consequently changed. Blood sacrifices were no longer required. Intermediary animals were also now not required. All of the Lord’s covenant people were able to approach the Lord directly and offer a self-sacrifice of their time, talents, and everything that they had, including the only true sacrifice we can give God, our individual will. The form of the sacrifice changed, but the meaning and symbolism remained exactly the same.